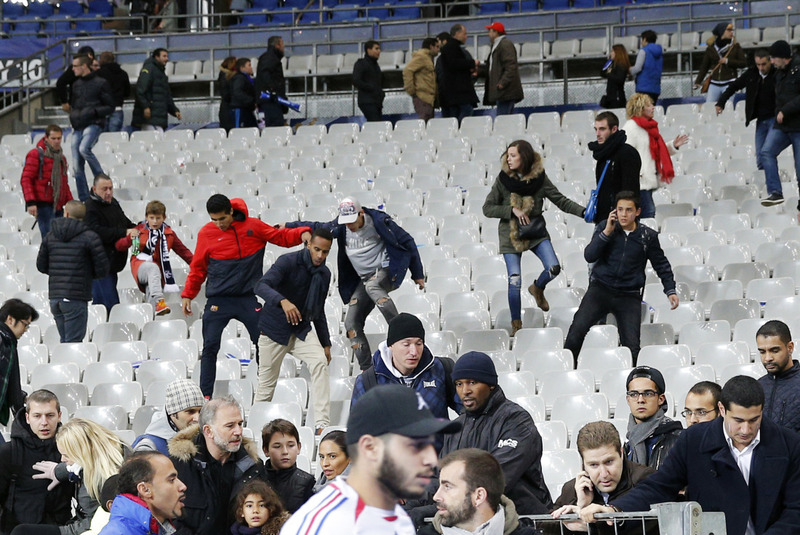 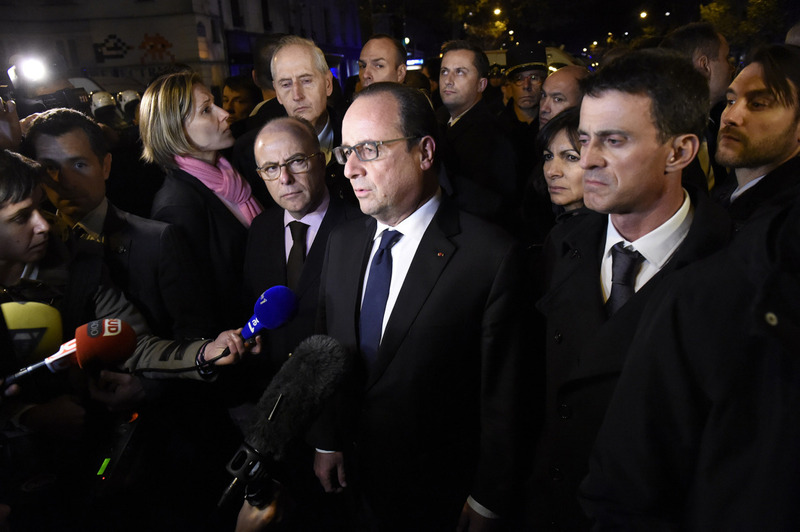 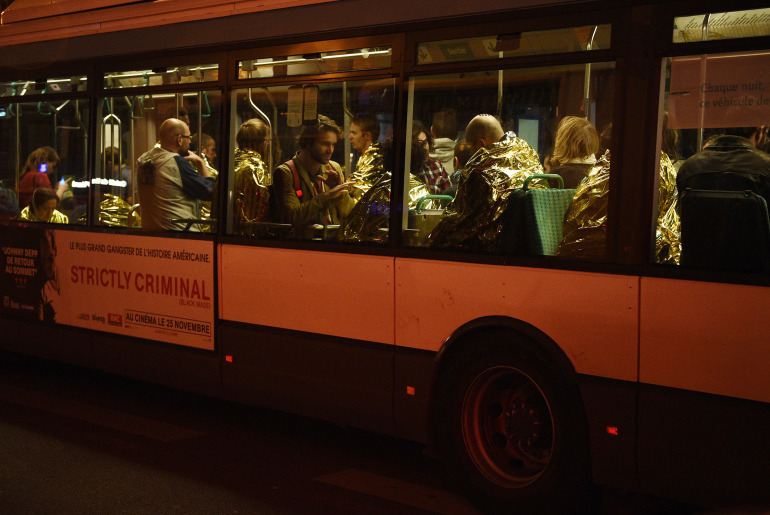 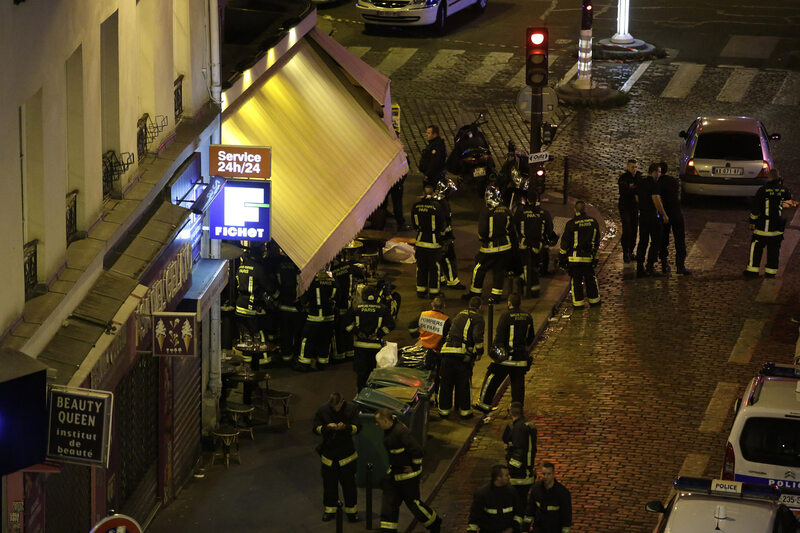 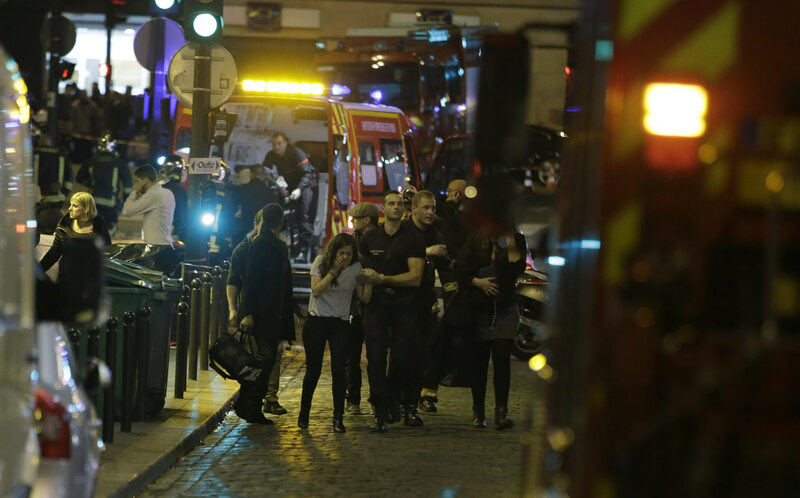 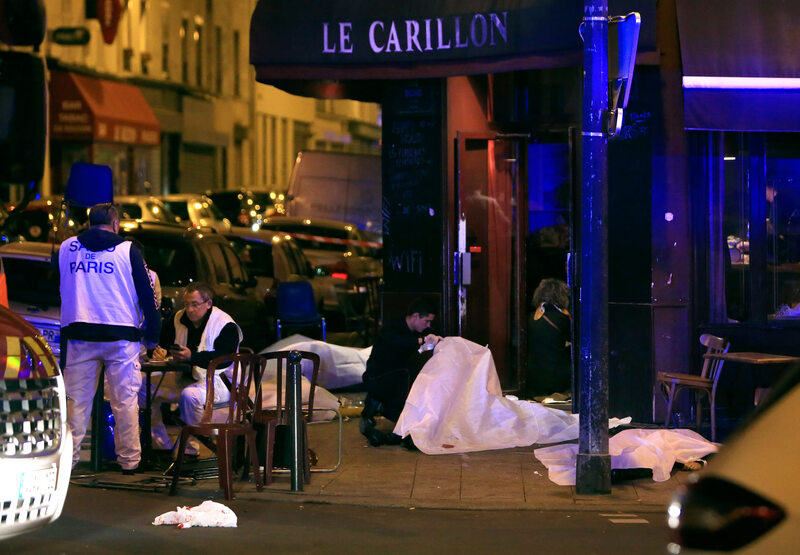 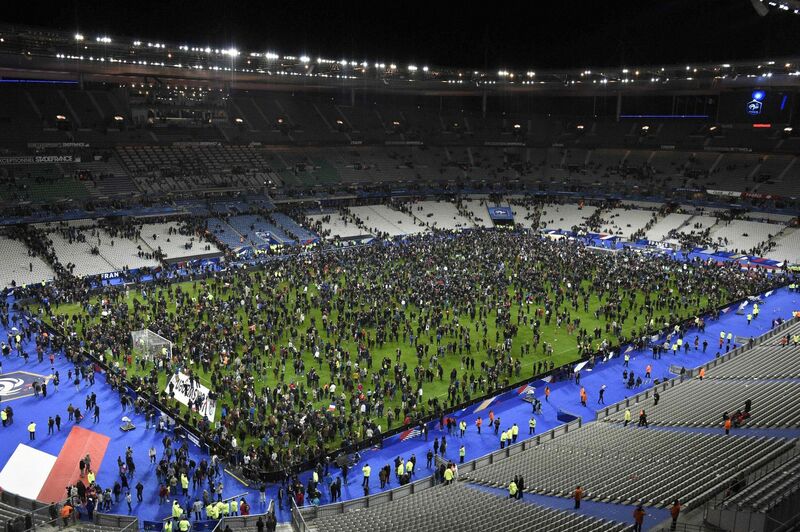 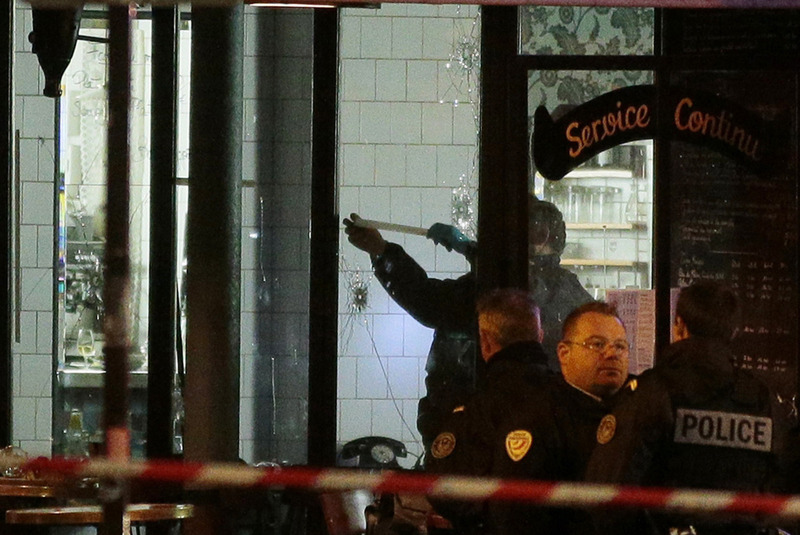 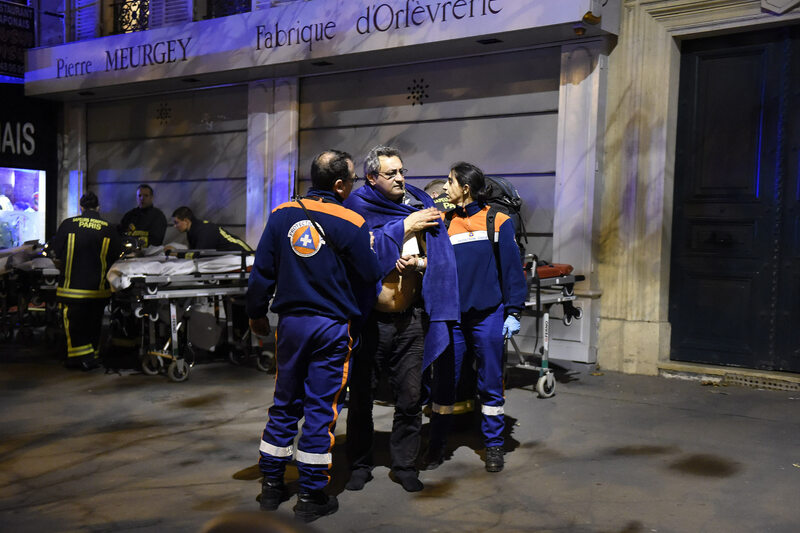 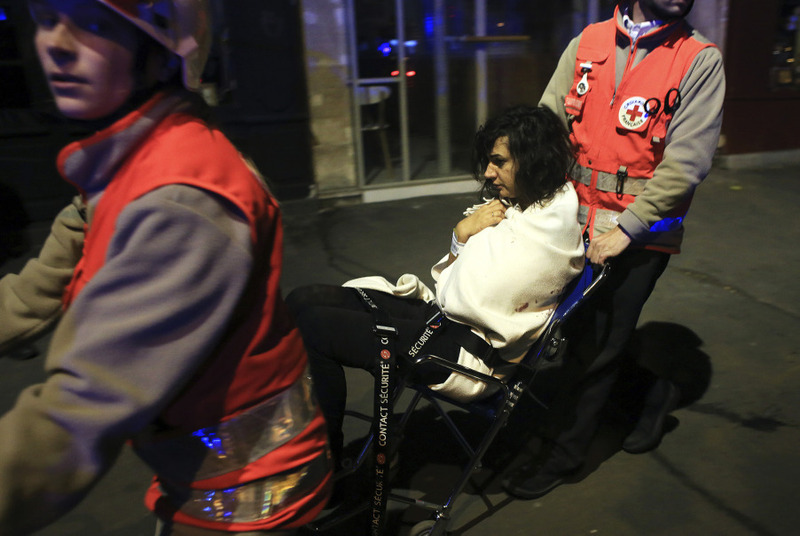 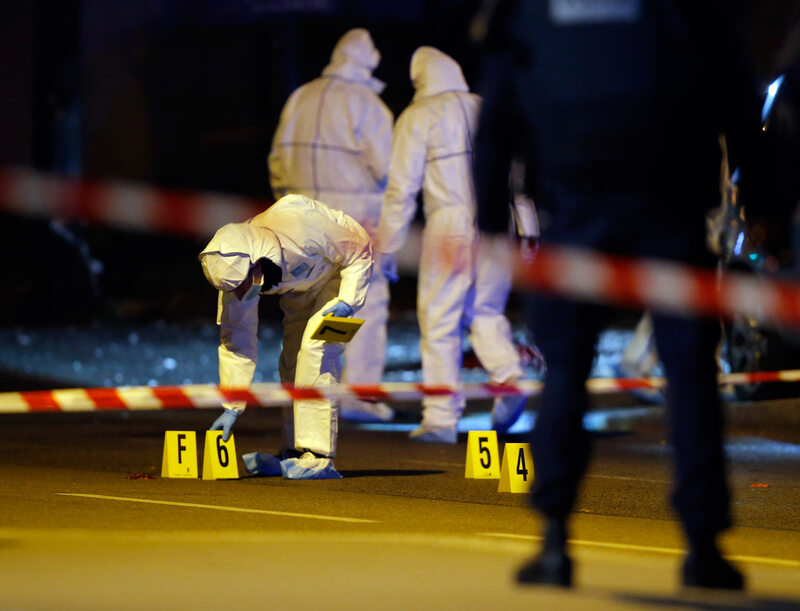 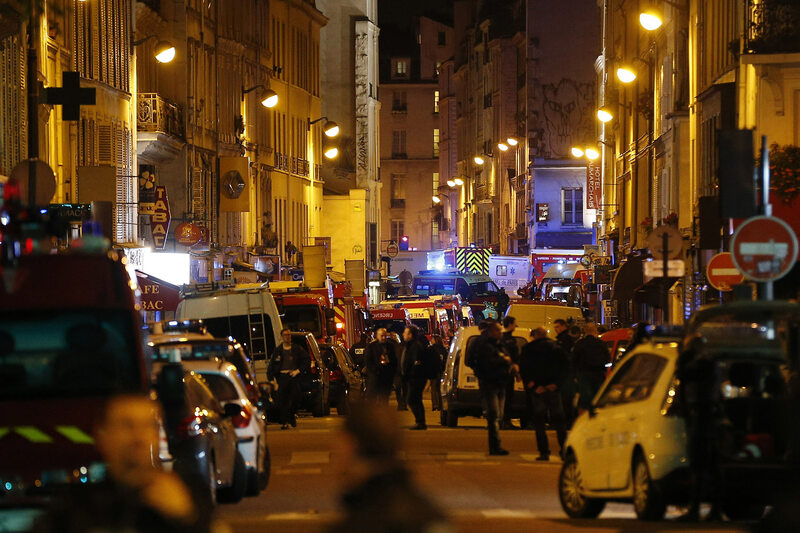 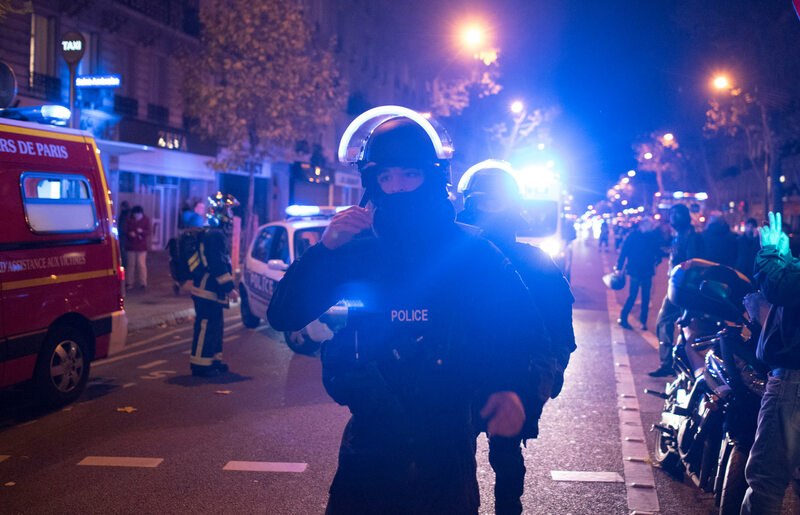 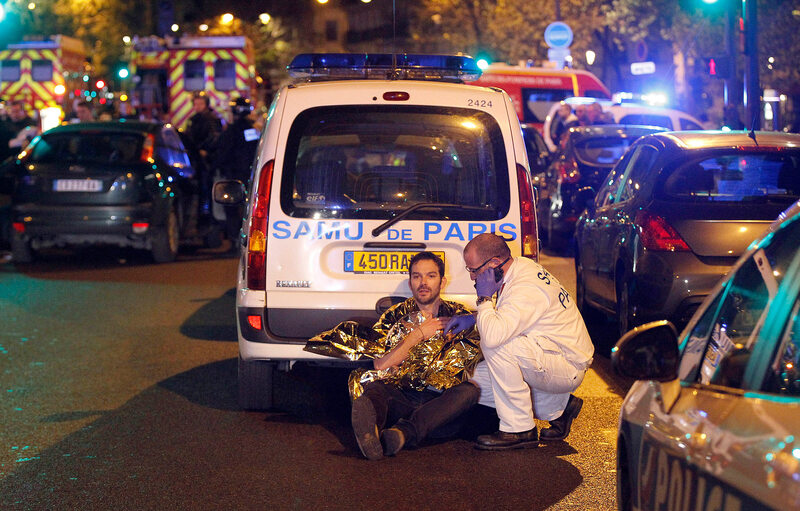 At least 120 are dead after a series of attacks in Paris on Friday night. 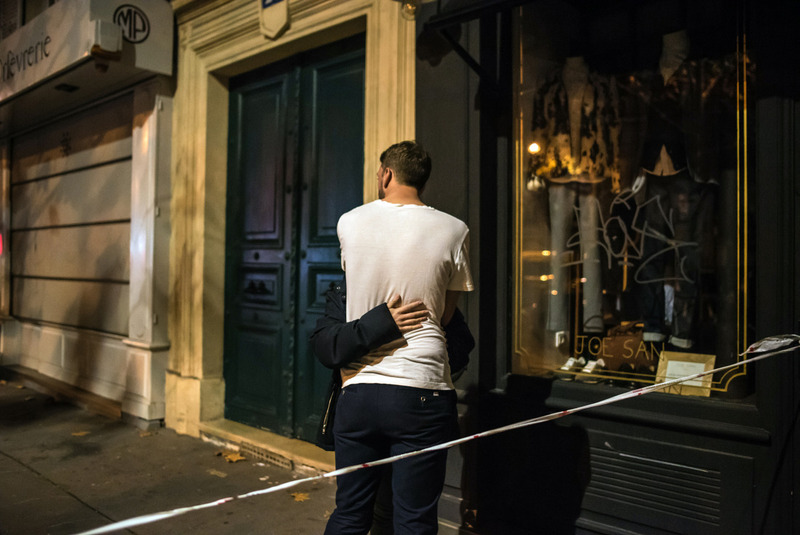 What follows are photos from the scenes. 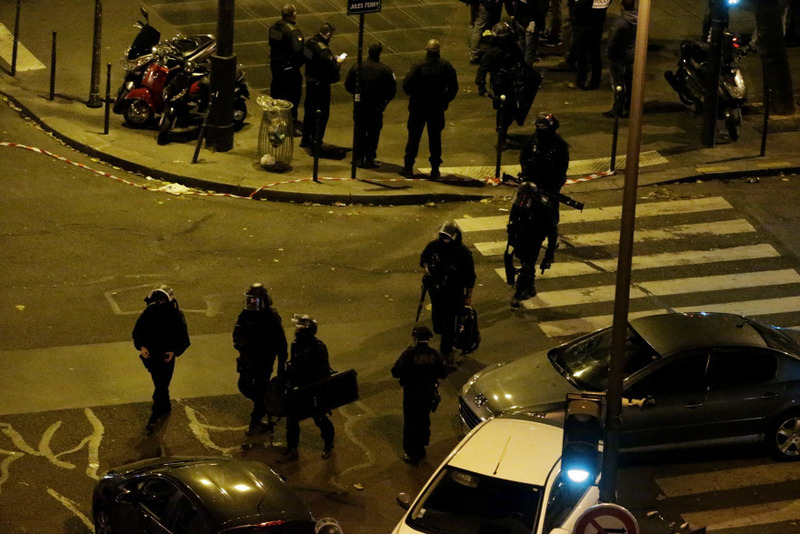 French security moves people in the area of Rue Bichat of the 10th arrondissement in Paris on Friday, Nov. 13.